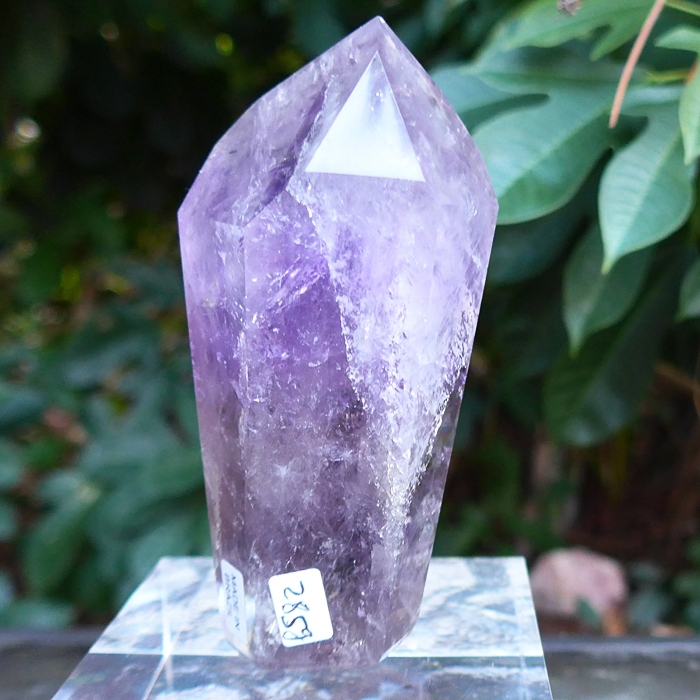 Dimensions (HxWxD): 4" x 2" x 1"
This 4 inch tall natural, untreated, polished Lavender Brazilian Amethyst Dow Altar, weighing 10 ounces, or 285 grams, is the perfect size to hold in your hand during meditation, and to use as a transmitter during energy healing sessions. This gorgeous wand features an unblemished male termination tip with no dings or surface inclusions, and a range of coloration that ranges from the high-frequency violets through lovely lavender. This polished altarpiece exhibits an array of mica-like inclusions that act as mirrors for light. Put it in the sun and watch it glitter! 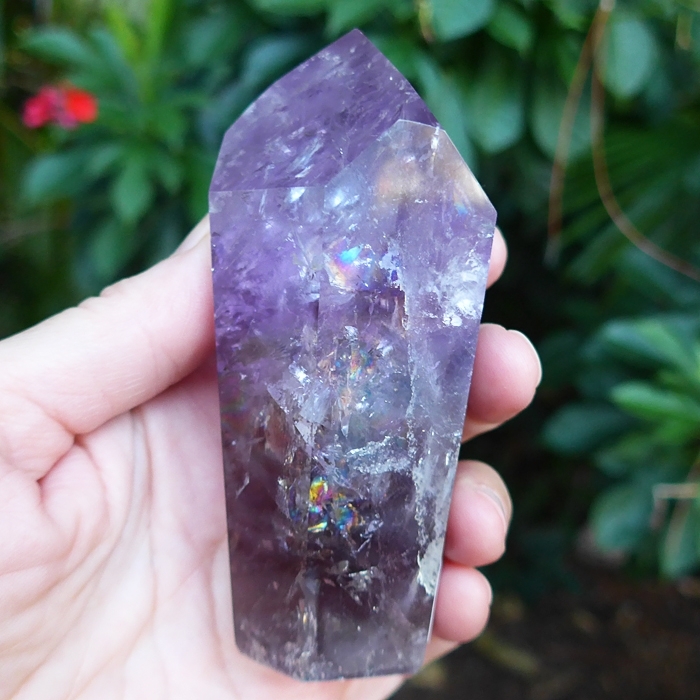 With a flat bottom, it is also large enough to be used as a centerpiece on your altar, bedside table or computer workstation to broadcast its unique energy throughout your environment. 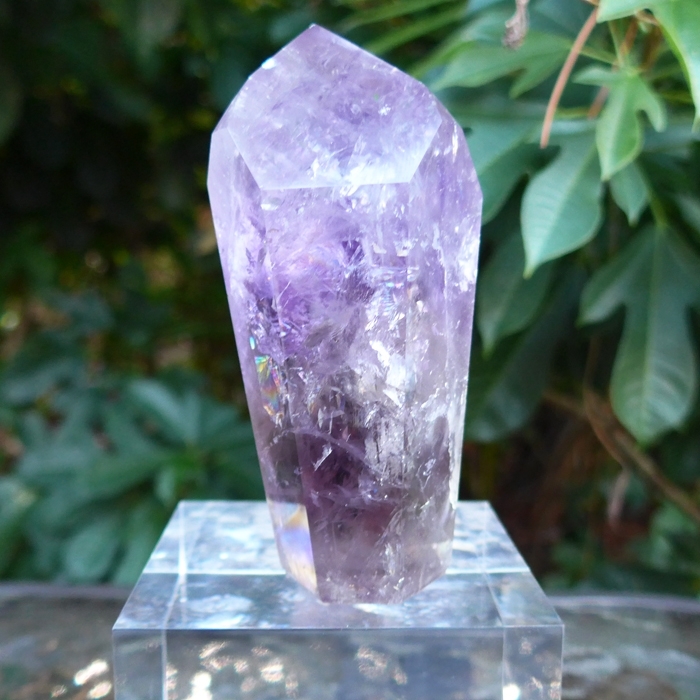 We have found the energy of this Amethyst Dow Generator Altarpiece to be deeply relaxing for our clients, enabling the recipient to access Higher Worlds with little effort. 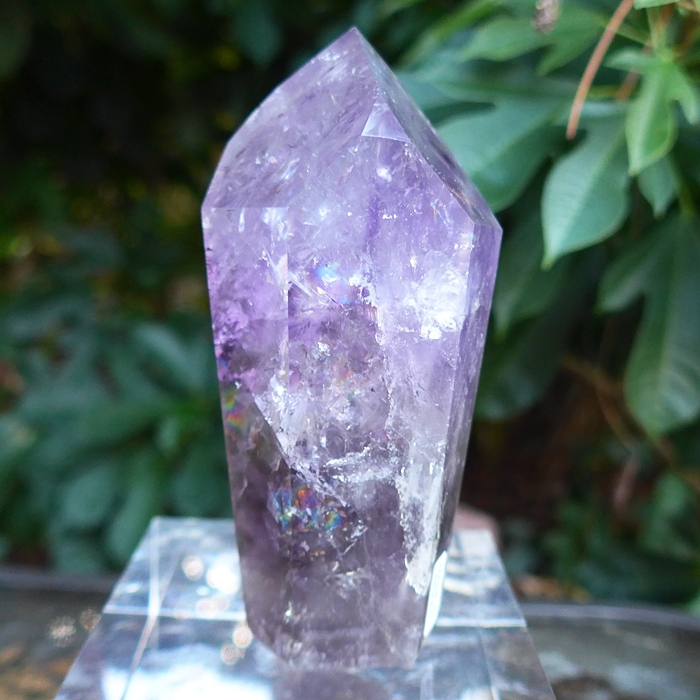 It is strongly resonant with the energy of the open crown chakra, and is ideal for use in transmitting the Violet Flame during works involving energy healing and spiritual purification. Rare Dow crystals are highly prized for their unique metaphysical properties. These extremely rare channeling wands exhibit three seven sided channeling faces separated by triangular faces. They have amplified abilities to connect the user to Higher Wisdom, Spirit Guides and Teachers and Angelic presences during meditation. In addition these Dow crystals have a remarkable ability to receive and transmit great amounts of energy over space and time. Note: Above weight is shipping weight. Net weight is 10 ounces, or 285 grams.